Despite the image of dangerous "abortionists" in Mexico—rhetoric that echoes in today's xenophobic politics—some trusted providers earned the gratitude of those who crossed the border for abortion care. No. 30 was not a “butcher.” And neither was No. 35. Both were safe, reputable abortion providers in northern Mexico before Roe v. Wade. Though history and even the U.S. feminists who secretly referred patients to them often generalized that Mexican providers were dangerous and unscrupulous denizens of the “back alley,” these two were trusted clinicians who served U.S. women traveling to the other side of the border to end pregnancies. Nos. 30 and 35 were given their numbers by two California groups, the Society for Humane Abortion (SHA) and the Association to Repeal Abortion Laws (ARAL), a feminist collective of radical abortion activists in the 1960s. These numbers were in turn cataloged by the Radcliffe Institute at Harvard, where archival documents about the organizations are housed. Dubbed the “Army of Three,” Patricia Maginnis, Lana Phelan, and Rowena Gurner traveled nationwide presenting workshops on self-managed abortions and passing out a list. The infamous SHA/ARAL list included information about abortion providers in countries around the world. Using surveys of women who had used these services, Gurner would establish contact with providers and attempt to screen them from afar. The providers were later identified only by numbers, since abortion was illegal in Mexico (and still is, except in Mexico City) and in case providers needed protection from authorities. Among the most loyal providers were those stationed in the northern Mexican states of Chihuahua, Sonora, and Baja California, in cities and towns like Ciudad Juárez, Piedras Negras, Tijuana, Nogales, San Luis Rio Colorado, and later deeper into Mexico’s interior—Mazatlán and Mexico City proper. Nos. 30 and 35 were well-respected among the activists and the women who sought their aid. Of No. 30, Maginnis wrote, “Additional reports are excellent. He refunded money in one case where he did an incomplete abortion. We consider him a specialist in late abortions.” No. 30 had been in business for years and, according to oral histories, had expanded his father’s clinic in the early 1960s. His father was a doctor in Ciudad Juárez—El Paso, Texas’s sister city across the Rio Grande. Some accounts suggest No. 30’s father had been providing abortion services as early as the 1940s to borderlands women. In another missive, Maginnis described the work of No. 35—a provider much-loved by countless women. “We have received more than 15 letters from women who went to her; all praising her highly. Do not believe taxi drivers who say her office is dirty and that women die there. She refuses to pay them graft. We visited her office. It is immaculate,” Maginnis wrote of No. 35. The abortion business was tough in those days—and some quacks were quickly taken off the SHA/ARAL list when word of their dubious tactics got out. But No. 35 was known for her empathy and care. SHA/ARAL documents suggest that No. 35 was the only woman operating an abortion clinic in the borderlands. While nurses and clinic staff were overwhelmingly women at the time, No. 35 owned her own despacho (office) and worked with an all-woman staff in Ciudad Juárez, not far from No. 30’s clinic. According to interviews I conducted, No. 30’s father had trained No. 35. It is unclear when she left his clinic, but she quickly became one of the most trusted providers in Maginnis’ network. Reproductive health refugees from the United States flew or drove hundreds of miles across the country to El Paso or Nogales in order to cross the border to find reproductive freedom. SHA/ARAL helped thousands of pregnant people find providers in Mexico between 1967 and 1973, when the U.S. Supreme Court ruled in Roe v. Wade and the organization was no longer needed. 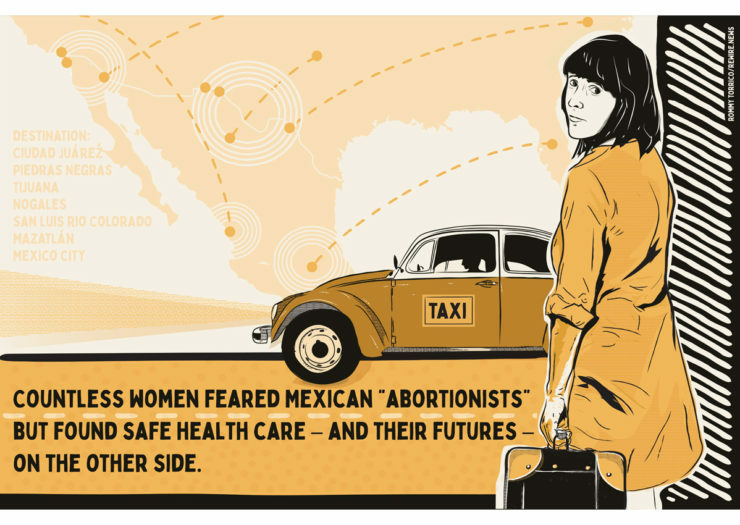 While the image of the back-alley “abortionist” was foremost in their minds, women continuously made the journey and placed their lives in the hands of vetted Mexican providers. 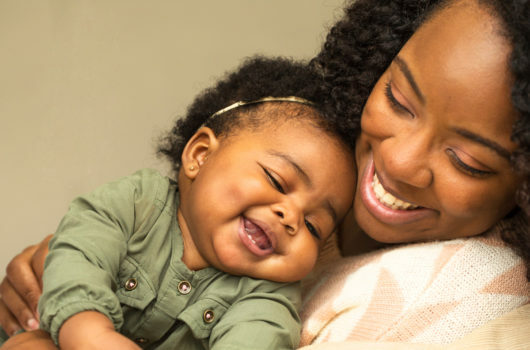 As many scholars of reproduction and abortion contemplate the significance of Roe v. Wade on its 46th anniversary, most of us think back to the time when abortion was a crime. We understand that before Roe women took desperate measures to relieve themselves of an unwanted pregnancy. We recall the stories of hat pins, coat hangers, and even toxic chemicals, such as lye, used by women to self-abort. Additionally, we’ve read of the con men and “back-alley butchers” who would lure desperate women to have unsafe procedures. The rhetoric of the back alley still resonates today. As does anti-Mexican sentiment, which helped fuel the narratives that people like No. 30 and No. 35 were unqualified, uncaring doctors. We are now in another week of the government shutdown premised on Donald Trump’s desire for erecting a wall on the U.S.-Mexico border. Drumming up xenophobic fears about a “migrant caravan” from Central America, he has insisted that he will not negotiate with lawmakers unless they bow to his whims. At the same time federal, state, and local governments continue their relentless assault on abortion access. 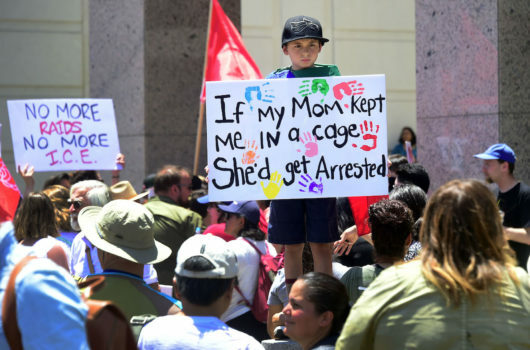 Immigration and reproductive health care often converge in the contemporary stories of undocumented pregnant girls such as Jane Doe and also in history. As a scholar who studies these cross-border networks, I understand women’s needs to end pregnancies even if it means breaking the law and the uncertainty of seeking care from unknown people and in other countries. But we’ve painted those who provided abortions during a time of illegality with a broad brush. These people were stigmatized because they provided a vital but banned health service. In the late 1960s, many of these so-called quacks worked just outside the boundaries of our norms and our nation. And many did, in northern Mexico. As the Trump administration doubles down on its disdain for reproductive freedom and immigration, this sliver of little-known abortion history should open our eyes to how Mexico and Mexicans continue to support human reproduction in all of its forms in the borderlands today. Not only are border cities in Mexico’s north absorbing weary United States-bound Central American migrants, but hundreds of women in border states cross into Mexico to obtain medication abortion drugs and birth control, such as Plan B. On the anniversary of Roe and while Trump continues his tantrum over the wall, let us be sure to pay homage to the many nameless people south of the border who, for almost a century, have supported reproductive care for thousands of U.S. women.